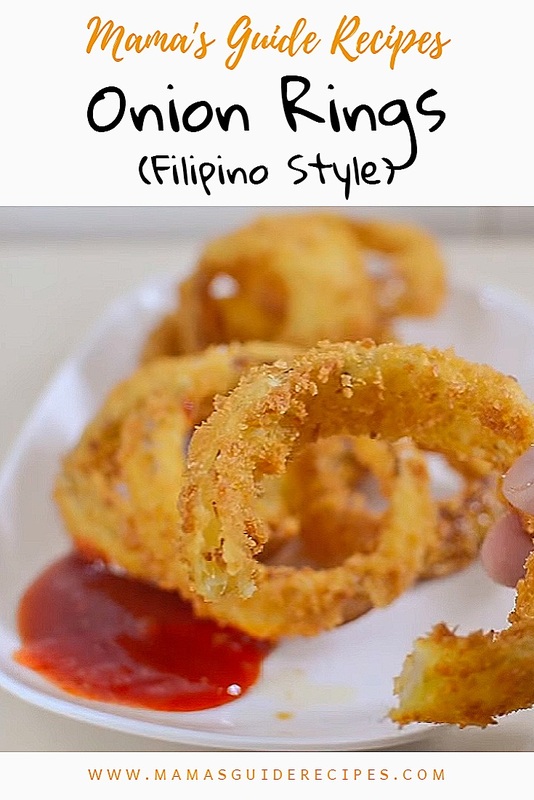 Who wouldn’t want a crunchy deep fried onion rings! One of my favorite appetizer. I always buy this at Burger King whenever I order a whopper meal. You can also match it with your favorite crispy fried chicken, hamburger or french fries. Serve it with delicious dipping sauce like mayonnaise, ketchup, sweet chili sauce, hot sauce, sour cream or cheese sauce. Yum yum yum! 2. Split up the sliced onion into individual rings, and set aside. In a small bowl, combine flour, baking powder and salt. Stir it well. 3. 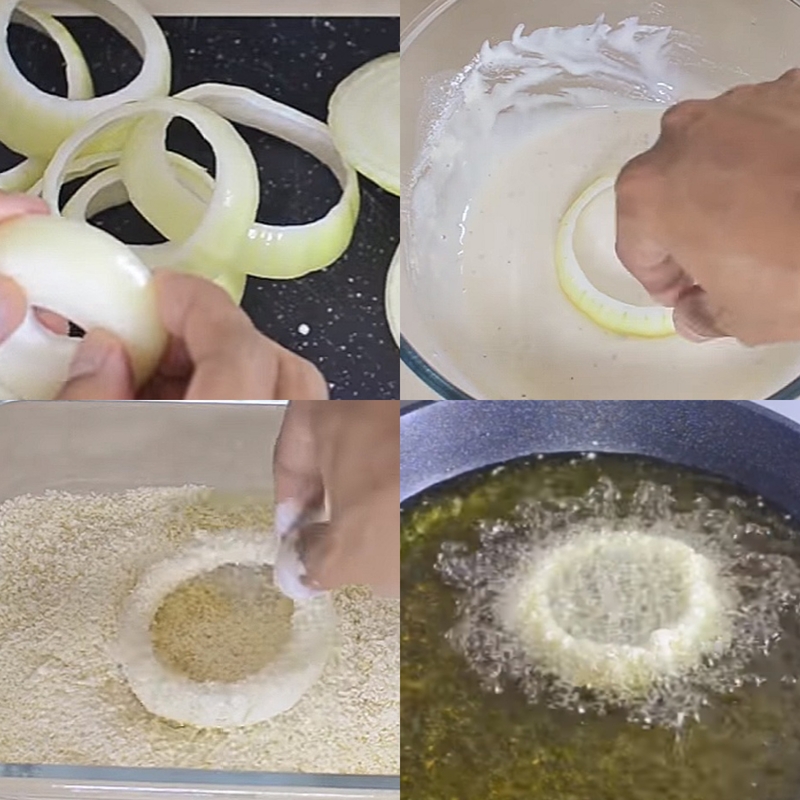 Roll the onion rings into the flour mixture until each rings are well coated; set aside. 4. In another bowl, whisk the egg, add milk (little by little portion) and add the remaining flour mixture using a fork to make a thick batter. Mix it well. 5. Plunge the floured rings into the batter to coat and transfer place on a wire rack. Let it drain until the batter stops dripping. You may place the wire rack over a sheet of aluminum foil to lessen mess. 6. In a wide bowl, scatter the bread crumbs and place each rings one at a time. Sprinkle the crumbs on top, cover up the ring with crumbs to coat. Slightly press it down and tap it to let the crumbs cling very well to the onion. Continue to do the same for the other onion rings. 7. Deep fry the rings in small batches at a time for about 2-3 minutes (until golden brown). Transfer into a bowl lined with paper towels to remove excess oil. Season with salt. Serve and enjoy!